A world-renowned photographer and author of Abrams' best-selling 'Earth From Above series, Yann Arthus-Bertrand has given us a new perspective on our world. 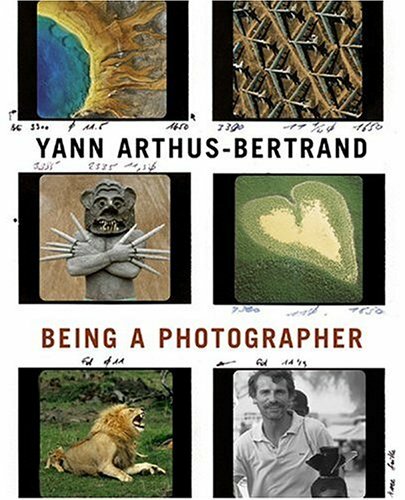 In this fascinating book he takes us on yet another visual journey, into the life of a photographer. Tracing the highlights of his career, he invites us behind the scenes as he captures the primal lure of lions, hyenas, wildebeest, and stags in the wilds of Africa; studies the colorful traditions of the Masai in Kenya; and creates portraits of people with their pets or farm animals closer to home. Arthus-Bertrand's aerial photography, the work that has won him the greatest acclaim, is presented in extraordinary images of everything from the Guggenheim Museum Bilbao to the sands of the Sahara. In Sophie Troubac's biographical text, Arthus-Bertrand discusses how and why he became a photographer and describes his passionate involvement with his craft. This captivating overview of a prolific and versatile photographer, which is complemented by an accompanying DVD on his life and work, is sure to be of interest to both professionals and amateurs in the field.